The term straight-through processing originated decades ago in financial services, where there’s a need to automate trading to process high volumes of orders rapidly, accurately and efficiently. Financial services businesses were able to implement STP first because they adopted information technology earlier and more thoroughly than other industries did. Straight-through processing gained early traction in B2C commerce. Internet retailing processes are designed from the ground up to require as little human intervention as possible; Amazon is a role model in this regard. It relies heavily on information technology to (among a long list of things) manage a massive catalog of products, make personalized suggestions to buyers, organize product and vendor reviews from customers, process orders, handle logistics and process returns. STP is able to orchestrate business processes to eliminate friction in the buying process. Straight-through processing provides a systems design framework that’s also useful for any form of business and commerce. It not only enables companies to redesign processes to improve efficiency and lower costs, it also supports a more pleasurable buying experience. The data gathered about customer interactions with the system provides deeper insight into customer behavior and improves an organization’s agility. This data also can be used for a range of purposes including business and financial analytics applied to performance management and planning, as well as machine learning. In straight-through processing, transaction hand-offs are managed exclusively by IT systems and all data is entered only once. Only the system makes calculations and data transformations. While there may be multiple systems of record involved in a process (for example, a CRM and ERP system), there is only one authoritative system of record for any specific piece of data. At no point do users manually download numbers from one system and upload them into another. I’ve been using the term “continuous accounting” for several years. One of its tenets – managing processes continuously end-to-end – involves finance and accounting departments using straight-through processing to improve their performance. Compared to working with a set of legacy software, it’s easier to build an organization’s IT and applications infrastructure as a greenfield implementation. However, even companies with legacy systems will find that it’s straightforward to implement an STP approach. Connecting systems through APIs and integration services requires much less maintenance than older point-to-point integration. Robotic process automation also has evolved as a means of connecting data and processes together to support STP. And cloud-to-cloud integration can be easier than on premises because multi-tenant services have standard architectures and data models. STP is especially useful when multiple systems in an organization must handle a single transaction. For example, the sale of some industrial machinery begins as an opportunity in a CRM system. As the process progresses, a formal proposal is prepared using a configure, price and quote (CPQ) system. When the proposal is accepted a contract might be drawn up in a contract management system. When the contract is signed and accepted, the ERP system then handles the inventory, supply chain, production and the logistics of delivering the product to the customer as well as the billing and accounting aspects of the transaction. 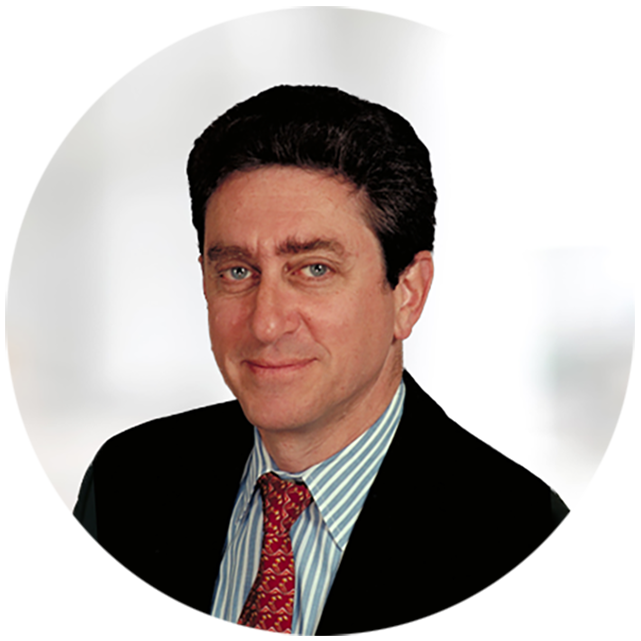 STP orchestrates the process, including system-to-system handoffs from beginning to end. STP also simultaneously manages the movement of data from system to system, ensuring that it’s consistent. STP is especially effective in recurring revenue and subscription businesses because there relationships with customers are more dynamic. That is, the number of subscribers, the terms of the subscription and quantities purchased (to name three aspects) are usually in flux. This makes a straight connection of the process and data – from taking an order to delivery and billing – useful. Straight-through processing addresses several issues. Eliminating spreadsheets that may be used for data transfers, extract, transform and load (ETL) processes or data entry substantially reduces the likelihood of errors. 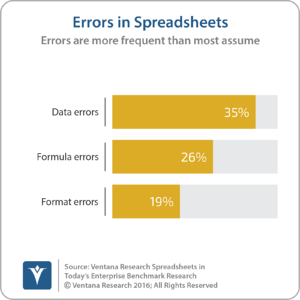 Our Spreadsheets in the Enterprise benchmark research finds that more than one-third (35%) of participants said that the most important spreadsheet they use has data errors and a further 26 percent cited errors in formulas. STP also can accelerate the completion of a process because it automates hand-offs between individuals: The same research shows that almost half (45%) of companies reported frequent or constant processing delays because people forget to forward the spreadsheet or don’t know what to do next. Ensuring data integrity throughout a process reduces errors that create additional work. Especially for finance and accounting departments, ensuring that the back-office data used in records, billing and analyses is accurate and always consistent with the data in front-office and operational systems eliminates the need for checks and reconciliations. STP increases customer satisfaction in that a company can reduce errors in orders and reliably generate accurate bills. CFOs who are looking for ways to begin or advance the process of digital transformation should be mindful of straight-through processing. STP streamlines business process execution from the front office through operations to the back office. It has the potential to make it easier to serve and satisfy customers, create and deliver products and services and perform the related accounting and billing. It can shorten cycle times and, by substantially reducing errors, increase productivity.